Experience the softer side of The Bahamas at the laid back island retreat of Emerald Palms on South Andros just a short, scenic flight from US shores and 15 minutes from Nassau, the capital of The Bahamas. The picturesque boutique resort on miles of secluded beachfront dotted with hundreds of golden palm trees provides the perfect location for a tranquil escape. Boasting of 18 club rooms and 22 colorful villas all tastefully appointed, with views of the ocean and tropical landscape make this a perfect vacation resort for a romantic getaway, tropical destination weddings, honeymoons, corporate retreats, family reunions, fishing and diving expeditions. The hotel also has a conference room for businesses looking to hold meetings at the facility. 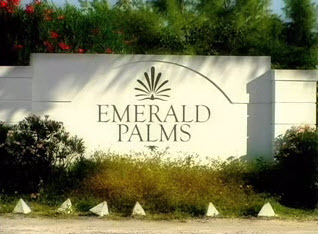 Emerald Palms is more than a vacation destination, its an experience you will treasure forever. For relaxation, exploring, beachcombing, or lounging by the pool, youll find peace, tranquility and breathtaking beauty at Emerald Palms. The Bahamas only resort within swimming distance of the worlds 3rd largest Great Barrier Reef. The Emerald Palms is great place, run by a very friendly staff. We stayed in a beautiful villa with a huge main room and a smaller side room. My teenage children thought the room alone wothy of a picture. The Emerald Palms is located on a beautiful white sand beach that is only for the guests. I never saw another non-hotel person at the beach. This resort is really good for relaxing and fishing/swimming/diving. It is not a place for people looking to be entertained by shopping or nightlife or sightseeing, it is not a place for people that like to eat dinner in a hurry - South Andros island is an undeveloped paradise in all senses of the words. The scuba diving on the Island was the best I have ever enjoyed.